According to new Aon data, one of the big consequences of self-driving cars' life-saving capabilities, could be big money savings in the form of lower insurance premiums. The Global Insurance Market Opportunities Report, published Monday, suggests that even if uptake is slow, by 2035, there could be enough autonomous cars on U.S. roads to cut insurance premiums by 20 per cent compared with current levels. And, if autonomous cars become the norm by 2050 (that's the model that Aon is working with) premiums will be 40 per cent lower. "Adoption of autonomous vehicles will of course be affected by many variables," said Paul Mang, CEO of Aon Analytics. "However, we as an industry need to act quickly to ensure that we have the products available to align to the new paradigm." Aon's research predicts that there could be an 81 per cent drop in insurance claims frequency once self-driving really hit the road. However, that could be offset by an increase in repair costs -- radar and laser sensors are very expensive to replace. Consumers may be warming to the idea of self-driving cars, but even recent studies on the subject show that people still aren't completely convinced by the benefits of autonomous vehicles. A March study from JD Power of 7,900 US adults found that only young drivers (56 per cent) are ready to actively embrace and put their trust in the concept. Just 23 per cent of Baby Boomers (the biggest car buyers) have faith in the technologies. Aon's data could change this as it appeals to the public's purse strings, rather than their heart strings, particularly those of older drivers. However there are still ethical issues to overcome. A research paper published in the journal Science in June, found that consumers believe a self-driving car should sacrifice its driver in order to save 10 pedestrians, unless it's their car, of course. Then it should protect their life at all costs. Therefore, clarity is key according to Thatcham, the U.K. insurance industry-funded automotive research center. 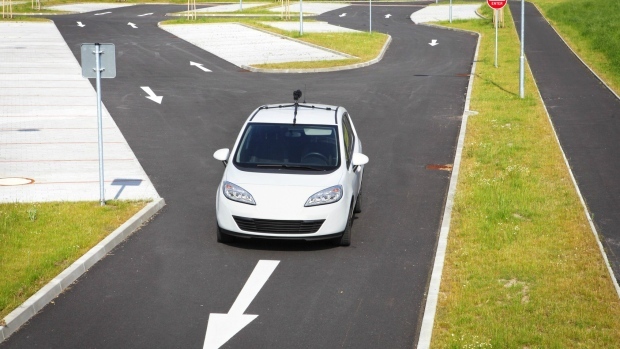 It is calling for a simplification of the language around self-driving car systems. "Keeping things simple and clear is paramount," said Peter Shaw, Chief Executive of Thatcham Research. "There is still much work to be done by legislators and the automotive industry to give drivers absolute clarity and confidence around what automated driving systems are capable of doing and under what circumstances they can be used." Yet it also says that drivers will have to take responsibility for actions, and a list of strict rules relating to what they will and won't be allowed to do when behind the wheel of an autonomous car should be created.